As I sat to read the energy of May, it was clear that the energy of April (and June) are very inter-related. They are always connected, of course; it’s not like energy starts on the first of a month—but these months are part of a larger process that is bigger than it can seem. 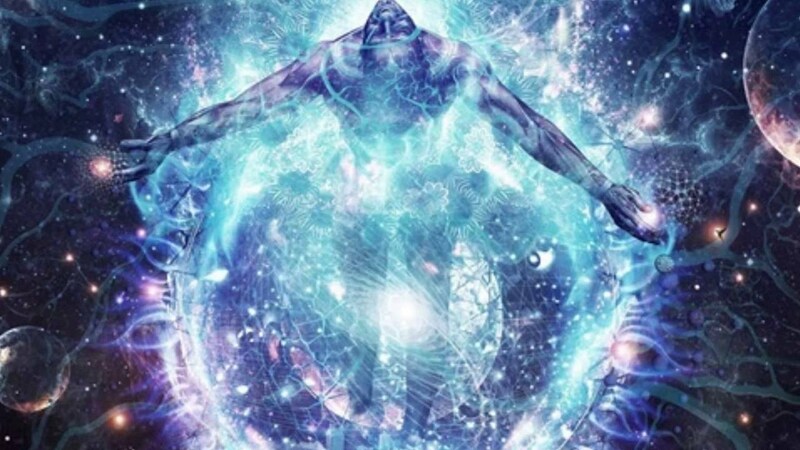 This time of Ascension is about us evolving into a more consciously connected species. Connected within the self, with the Earth, Earthly life, the cosmos, and the subtle realm. It is a natural process of evolution in which what has always been becomes known, understood and utilized. It requires moving past some comfort zones, reworking some patterns of interaction, and tuning into an internal connection that changes the future. The energy of April refined that internal focus. It had the energy of Anchoring New Creation, such that past patterns aren’t repeating with a new façade. This entails the inner/subtle realm changing so that a creation is different at the core. Of course, it’s all about changing you. You are the new creation. May is that still point of connection as you sustain your energy to change. June will be an external catalyst that focuses you from chaos to creation. More on that in the Light Language video (above), and much more next month. The external experience is one that creates internal tension. That is the nature of change—the desire to grow, connect, feel and enjoy. “Tension” in and of itself is not a bad thing. The “tension” of wanting to be mobile creates a desire for a child to walk. The “tension” of wanting to express creates art. It can be a joyful process. The phenomenon that we have been experiencing is that fear has dominated humanity to such a degree that the tension of change (growth and connection) created a lack of empathy, or a lack of connection in order to accelerate growth. As a Lightworker, you are naturally empathic, desiring a deep connection with Life and for all Life to thrive. What we are being called to now is to look past the obvious and into the potentials. As we connect with a loving potential, we are evolving into a greater state of connection. As we connect with a fearful potential, we are reinforcing a lack of capability. To evolve into that greater state of connection, reinforce capability. Inner strength. Inner fortitude and Love. The energy of May is shown to me as the space between, the still point of connection, the sustaining energy. I was shown the energy of May as being the center point between the inhale and exhale, as you honor the moment of inaction that feeds the system. It is this still point that provides the connection between what was and what will be. It is your present moment, the power point of your inner realm that supports your connection with the outer realm. The space between is the moment where you hear the whisper of Love, All is Well, and Life continues onward. Do you feel comfortable in that moment? For it is that comfort that allows the sustaining energy to flow. How do you create the comfort of All is Well? You create from peace rather than fear. You own your inner realm and support that beautiful flow. May has the energy of taking life in and letting it fuel you, letting it sustain you. It is asking you to breathe deeply of Life and let that energy circulate through you, imprint it with your energy, and release it back into the collective. What is within you? I noticed recently that I had thoughts repeating that were ridiculous. They weren’t based in reality, the now moment, or the Love I want to live. I stopped, focused and shifted my thoughts. When thoughts are on repeat, it’s asking you to look deeper. If it’s just mind chatter, you’ll focus away from it with some easy effort toward a more productive focus. Otherwise, look a little deeper at what your inner realm is repeating to you because it’s asking you to heal. Thoughts of fear, anger, hatred, confusion, etc.? It’s just coming up for release, so find a healthy healing focus. Let it out. Own your inner realm. May will ask you, what are you feeding yourself with that whisper within? The sustaining energy of May fuels you to keep your focus to take action in the “future” (a moment, a year from now?). It is about inner focus on the self, what you have taken in, what you are sustaining within, and what you are preparing to express out. It is a month of preparation energy, as you prepare your inner realm for the future creation that will form. It is the moment of connection. Focusing on the self in this instance is about empowering yourself as part of the whole. This is a big issue that we are bringing a lot of energy of resolution (re-soul-ution) to as we amplify the energy of Love into the human experience. Yep. It begins within. We are resolving past the pain of not feeling worthy into the strength of knowing we were born worthy and we deserve a joyful life experience. We are evolving into the strength of dealing with what is, and focusing toward the potentials of what will be, even as we are deeply rooted into the full experience of the present. The present moment, the space between past and future, is the power point. Again, you. Lightworkers are generally the sensitives that give and give and give. That actually isn’t going to change drastically, because it is the core of who you are. What is changing is the imbalance of that. Are you giving to your detriment or the detriment of another? Are you truly helping in a moment? Is this moment preparing a healthy future potential? Each moment isn’t a measure of equal give/receive. But we are in a time of learning to receive deeply and give from a wellspring of Life flowing. To do that, your inner realm is cultivated into a nourishing garden that sustains with delight. That is your inner realm. In a moment of darkness it supports growth, in a moment of lightness, it encourages growth. What do you want within, creative being? In May, we are called to maintain a powerful inner realm that sustains life beautifully. With each breath in, you are taking Life into your being. Are you strong enough to hold your own vibrational intent? In this year of The Empowered Sovereign, it is a powerful time of refining your inner kingdom into a flourishing creative space that realigns your life with Love. It is who you are. We are learning the “how” in this configuration, with the experiences that harvest wisdom. Focus within, support yourself to thrive, and emanate Love out more and more. You already deserve that loving life. I hope you have a nourishing May!